Potential inductees for 2019 also include the Cure, Radiohead, Todd Rundgren and more. I’m a big fan of heavy, modern rock groups that can take an old song and breathe life back into it. Prophets of Rage have reworked the Beastie Boys classic “No Sleep Till Brooklyn” into an anthem for last month’s Republican National Convention in Cleveland, Ohio. In less than two weeks, Rage Against the Machine will release a special 20th anniversary box set to commemorate two decades since the release of their self-titled debut album. Tom Morello on Randy Rhoads: "After Hearing Him for the First Time, He Became My Favorite Guitar Player"
A week from today marks the 30th anniversary of the untimely death of guitarist Randy Rhoads, who tragically perished in a plane crash at the age of 25. 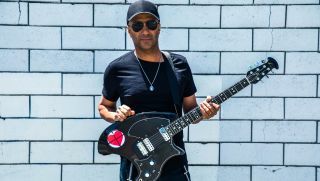 Tom Morello to Rush Limbaugh: "Hey Jackass, Stop Using Our Music"